More than a quarter of a century later, we’re finally getting a “Bill & Ted’s 3”. We’ve heard of a new Bill & Ted movie for years (since 2010); the original was released in 1989, it was an “Excellent Adventure’. The second movie, released in 1991 was a “Bogus Journey”. 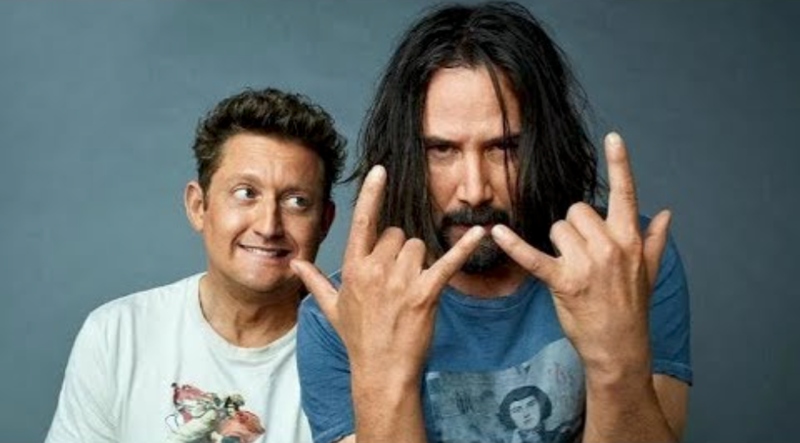 ‘Bill & Ted’ co-creator Ed Solomon talked to Entertainment Weekly and told them that a third script has been written (with co-creator Chris Matheson). “We wanted to have it be something that we — all four of us, Chris and I, Alex and Keanu — could stand behind, and know we’re doing this for the right reasons,” Solomon explains. The working title for the script is ‘Bill & Ted Face the Music’. Solomon says they’re “hoping to close a deal with some financiers” and hope to have “news that will stick” in the next month or so. And yes, Bill Sadler will return to play Death. NEWS is brought to you by Beautiful You Laser in Maple Ridge!